Kids who want to take up professional sports look up to football players and baseball legends. A person who goes into teaching had that one teacher who deeply inspired them. Children are regularly exposed to doctors and nurses and soldiers and first responders who can spark in them an interest that could grow into a lifelong passion. But when you’re deeply in love with the world around you and the sky above you, who do you look up to? For many of us young weather geeks, one of those people was The Weather Channel’s Dave Schwartz, who died on July 30 at the age of 63 after battling three bouts of cancer over the last decade. If you’ve watched The Weather Channel at any point over the past couple of decades, you’ve heard his friendly voice at least once. Dave Schwartz was one of the few television meteorologists who mastered the talent of commanding his time on camera by having a personal conversation with tens of thousands of people at once. You weren’t Dave Schwartz’s audience. You were his friend, and he didn’t just tell you the weather; every minute he spent in front of the camera was his opportunity to personally guide you through whatever weather events lie ahead. Shortly after NBC/Comcast bought The Weather Channel in 2008, Schwartz was one of a handful of longtime on-camera meteorologists who were laid off in a shakeup that sought to send the network in a new direction. 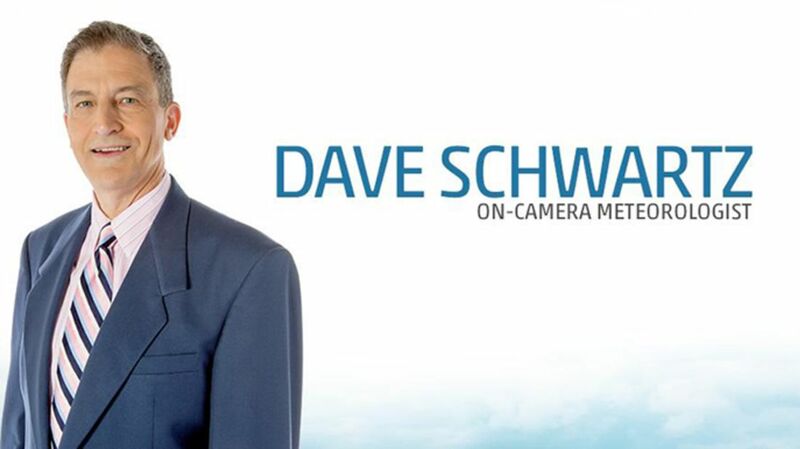 After years of viewer feedback—including a website called “Bring Back Dave Schwartz”—the network rehired him in the spring of 2014. When I briefly met Schwartz during a visit to their Atlanta headquarters a few months after his return, The Weather Channel’s president told me that bringing him back was one of the best decisions they’d ever made. It’s easy to see why. If you’re not familiar with Dave Schwartz, a quick search on YouTube will bring up dozens of entertaining video clips from his years at the network, including one recently when he asked viewers to send him pizza at the studio for Pi Day on March 14. Much like his colleague Jim Cantore, Schwartz’s widespread appeal was his infectious love for the weather. While Cantore is energetically nerdy—remember his pure, unfiltered joy at experiencing thundersnow six times in one night?—Schwartz’s style was more subdued and laid back, but effective just the same. Always addressing you as his friend, he could seamlessly weave forecasts, facts, and humor together to keep you informed and entertained like few others can accomplish. Schwartz’s smooth presentation style did more than just attract viewers. He helped attract people to the field of meteorology itself. Upon news of his death, meteorologists and weather geeks flooded social media with condolences and memories of what he meant to them watching him on television and working alongside him in person. It was a common sentiment to hear that he helped spark that love of weather in someone whose passion for it is as strong as ever today. Watching him on television as a child helped me maintain my passion for weather even when other kids made fun of me for it. I partially credit him for my being a weather geek today, and so many others out there can say the same. Both the weather world and the world itself are better places today because of Dave Schwartz.